Now’s your chance to go behind the scenes and get the full story. Order one or more copies of Birds of Pray (audio, eBook, or hardcover) by August 19, 2018 and get access to these exclusive bonuses! 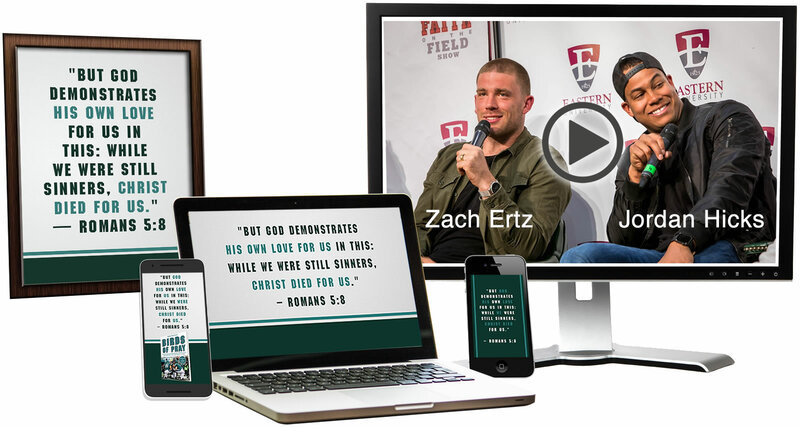 A one-hour video that includes Zack Ertz and Jordan Hicks sharing behinds the scenes stories of the highs and lows of the Eagles Super-Bowl-winning season including Jordan Hicks’ injury and how it impacted him, Zach Ertz’s Super-Bowl-winning touchdown catch, Carson Wentz’s injury, team chemistry, how the Christian players got along with the rest of the team, cold tub baptisms, and more. A Romans 5:8 phone wallpaper with the book cover. A Romans 5:8 phone wallpaper without the book cover. A Romans 5:8 desktop background. A Romans 5:8 printable poster. Order one or more copies of Birds of Pray (any format) at the retailer of your choice by August 19, 2018. Click the button below to go to the redemption page and enter your first name, email address, and receipt or order number. 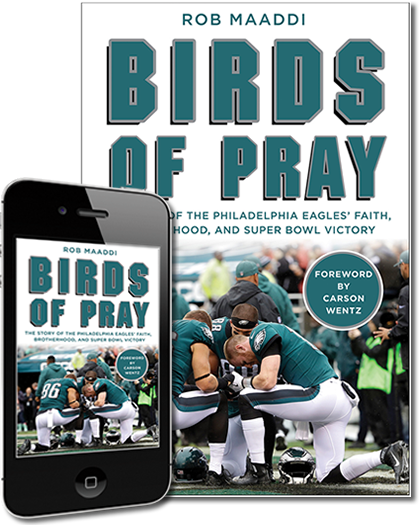 "In Birds of Pray, Rob Maaddi captures the story of our brotherhood and the special bond we have in Christ that helped us become Super Bowl champions." "I cannot wait to get my hands on Birds of Pray. I can say that this team was special and a little different in its approach; they made it very clear Jesus was going to be the beginning, middle, and end to every single thing they did. I'm excited to read how this Eagles team led by its quarterback with his own story of tribulation kept pointing to Jesus, no matter what." "Looking for proof that faith and classic underdog grit can power you forward to victory? Look no further. Birds of Pray is exactly that." 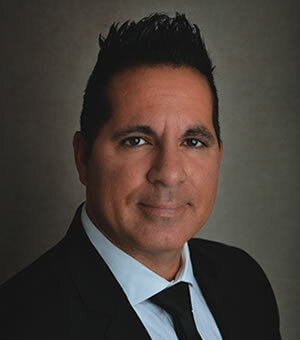 Rob Maaddi is an author, radio and television personality and dynamic speaker who has covered Philadelphia sports for The Associated Press since 2000. He’s also a Major League Baseball Hall of Fame voter and former president of the Philadelphia chapter of the Baseball Writers’ Association of America. A passionate Christian devoted to spreading the Gospel, Rob launched "Faith On The Field Show" on Philadelphia's 610 ESPN radio in April 2017 (faithonthefieldshow.com). Rob has written or co-written seven other books. Rob and his wife, Remy, have twin daughters: Alexia and Melina. Rob and Remy were breakout stars from WE tv’s first season of “Marriage Boot Camp” in 2013. They starred in the “Remy and Rob” spin-off before putting their television careers on hold following the birth of twin girls in August 2013. A South Philly native, Rob graduated from St. John Neumann High School, received a Bachelor of Arts in English from Rutgers-Camden University and a Master of Journalism from Temple University. Rob is a member of the Deacons Prison Ministry softball team and is involved in numerous charities. Rob and Remy launched their Be A Blessing Foundation (beablessingfoundation.com) in December 2017. He and his family reside in South Jersey.